Definition at line 93 of file atlcom.h. Definition at line 98 of file atlcom.h. Definition at line 124 of file atlcom.h. Definition at line 102 of file atlcom.h. Definition at line 108 of file atlcom.h. Definition at line 114 of file atlcom.h. Definition at line 119 of file atlcom.h. Definition at line 96 of file atlcom.h. 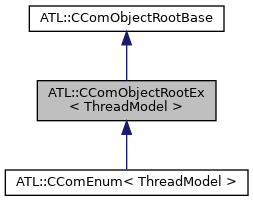 Referenced by ATL::CComObjectRootEx< CComMultiThreadModelNoCS >::_AtlInitialConstruct(), ATL::CComObjectRootEx< CComMultiThreadModelNoCS >::Lock(), and ATL::CComObjectRootEx< CComMultiThreadModelNoCS >::Unlock().